Single Drive 3.5Inch Floppy Interface Drive A with Twist. Ribbon Cable with 34 Conductors. Floppy Drive Cable Connection with 34 Pin Twist. Easy Floppy Drive Cable Install with this cable. Just connect Cable to Main Board and to the Floppy Disk Drive interface connector on the Drive. 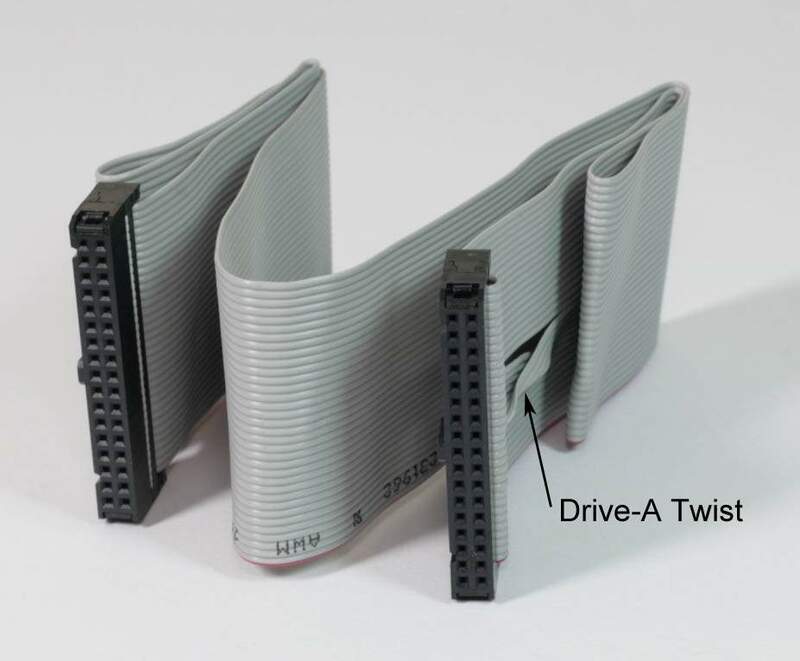 Floppy Drive will be set to drive A by the twist in the connector.